Här intill visas en Win-Pod analys av fotens funktion före och efter en behandling. En friidrottare på elitnivå som känner svaghet i fötterna. Vid styrketester är Tibialis Posterior försvagad på båda sidor, Funktionell Hallux Limitus visar sig vid test. Efter behandlingen är styrkan och tårnas rörlighet återställda. Före behandlingen (nedre analysen) går patienten på utsidan av foten för att inte komma över stortån, med ökar tryck (rött) (M) under lilltån. Efter behandlingen kan patienten gå över stortån (rött) och få kraft med den riktiga rörelsekedjan uppåt, där fotvalvet lyfts med en utåtrotation av underben, som fortplantas uppåt till höft med ett sträckt knä, och som initierar sätets kontraktion. Detta är extremt viktigt för någon som ska prestera på något sätt. Kraften måste kunna fortplantas från underlaget. Om fotvalvet inte kommer upp kollapsar foten, därmed utvecklas inte kraften dit vi vill ha den. Här syns två 3D-skanningar av fotsulan. Den vänstra bilden visar fotsulans form före strechingen och den högra bilden efter 2 minuters stretching. Man ser på bilderna att den längsta tån före stretchingen är stortån. Efter stretchingen förändras detta till att den andra tån är längre. Detta förklaras med att hålfoten höjs och stortån följer med och ser kortare ut. Hälsoteknikcentrum i Halland, vid högskolan i Halmstad har gjort en studie på StretchPower’s effekt på vadmuskel stretch. Bilderna till intill visar en person som har behandlats 2 x 6 minuter på båda benen och anklarna. Så som bilderna visar kan personen sitta djupare ner på huk efter behandlingarna. Ovan är filmer på Funktionell Hallux Limitus före och efter behandling, man ser hur stortåns rörelseomfång har återfåtts. Denna förbättring av rörelsen sker efter alla behandlingar utan undantag! Observera att ni inte skall tvinga stortåleden att komma upp i rörelsen! Om ni med tvång stressar leden är det risk att ni skadar fotens funktion där stortån ska lyfta fotvalvet. Felet att stortån inte kommer upp sitter INTE i stortåleden! Den övre filmen till höger visar rörligheten i stortån hos en halux valgus opererad kvinna. Hon hade besvär i samband med löpning med att tån domnade bort. Vi behandlade stelheten i stortån så att hon kan ta ut steget över stortån normalt utan att leden komprimeras. Behandlingen gjordes med PRONATOS metoden med påverkan på fotled och strukturerna på underbenets baksida, utan att behandla själva stortåleden. Med behandlingen påverkar vi själva uppkomsten av Hallux Valgus, Hallux Limitus och Hallux Rigidus. Om detta fel fortgår under en tid tvingas man att gå på utsidan av foten som överbelastas, detta leder till besvär under framfoten som, Mortons neurom och andra överbelastningsskador. Detta stressar även utsidan av fotleden där vadbenet fäster, denna förskjuts uppåt och stressar den övre leden på utsidan av knäet. Eftersom denna ledkapsel kommunicerar med knäledens ledkapsel kan denna irritation ge en svullnad i knäleden. Detta är ett svår diagnosticerat tillstånd som ofta missas med diffusa besvär i knäleden. Inskränkt rörlighet i stortåleden ger även besvär med höftleden eftersom man måste kompensera stelheten i stortåleden, varje steg ger en stress i rotation eftersom man måste kompensera att man inte kan ta steget normalt över stortån. Antingen vrider man foten i den sekvens som man har den högsta belastningen i höftleden, eller så kortar man av steget med ett hårdare frånskjut med framfoten, vilket stressar höftleden för varje steg man tar. Forskning på Funktionell Hallux Limitus och Equinus/stela vadmuskler och konservativ behandling. Hallux dorsiflexion was reduced in patients with PF who participated in the present study. This characteristic may have favored development of the pathologic abnormality by creating additional tension in the plantar fascia. The pronated foot was the most frequent type in the PF group. It is possible, therefore, that excessive subtalar pronation may be a biomechanical alteration that influences the etiology of PF. Anatomic pulley mechanisms exist to enhance tendonfunction, and the increased incidence of tendon injuryat these sites is well known. As a result of extrinsicand/or intrinsic repair processes, stenosing tenosynovitismay develop and normal range of motion may becomepainful and/or restricted. Flexor hallucis longus stenosingtenosynovitis is a well-recognized disorder among classical ballet dancers and is occasionally seen in running athletes. There are no reports concerning nonathletes and the disorder likely exists as a diagnosis of exclusion among the general population. The prevalence of FHL stenosing tenosynovitis may be higher than reported. A relatively large number of patients were encountered during a short time frame; patients were primarily nonathletic, male, and two times the average reported age. In addition, overlapping signs and symptoms of FHL tendinitis, plantar fasciitis, and tarsal tunnel syndrome were present in many of the patients. Without a high index of suspicion, misdiagnosis may be encouraged, contributing to chronic FHL tendon injury that may decrease the opportunity for a nonoperative recovery. The presence of plantar fasciitis that fails to respond to standard nonoperative protocols should be evaluated for FHL tendinitis. Many patients presented with an apparently painful medial plantar fascial band that was recalcitrant to nonoperative measures, yet obtained 100% pain relief during the tenogram anesthetic phase, and permanent relief after FHL tenolysis. Flexor hallucis longus stenosing tenosynovitis may be more prevalent than previously suspected and should be a diagnosis of inclusion among all patient populations with posterior ankle pain, medial arch pain, and/or tarsal tunnel symptoms. The term flexor hallucis longus dysfunction has been used to describe patients presenting with these unique features. Magnetic resonance imaging and tenography are valuable in establishing the diagnosis. FHL tenolysis has proven to be a relatively safe, successful, and reproducible procedure in recalcitrant cases. 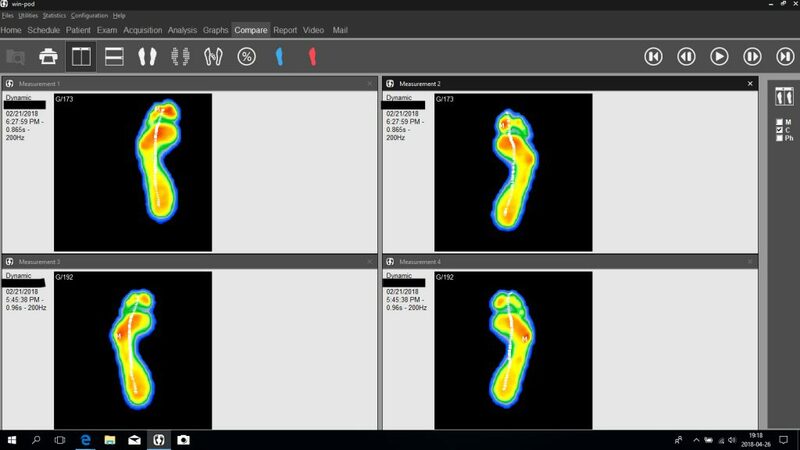 Selected dynamic plantar pressure measurements of 30 control, 30 hallux valgus and 30 hallux limitus subjects, were analysed for significant differences. Hallux valgus feet demonstrated significant medial localization of peak and mean pressures, suggesting foot pronation is an important factor in the development of this condition. While hallux limitus feet showed a significant locus in mean pressure under the hallux, third and fourth metatarsal heads and lesser toes, indicating a degree of lateral bias forefoot load. From this work, it would appear that the functional pathomechanics of hallux valgus and hallux limitus feet are considerably different. These findings may be of value in assessing and monitoring patients with forefoot pathology or screening individuals at risk of developing hallux valgus or limitus so that appropriate advice or interventative treatment may be considered. The function of the first metatarsophalangeal joint may be most critical for normal foot function and for prevention of a host of foot pathologies. It has been shown that most normal feet demonstrate functional hallux limitus. A relatively simple treatment for this condition has been proposed, and it is hoped that this treatment will become another tool that clinicians will have at their disposal to treat functional hallux limitus and lesser-metatarsal overload and the resulting sequelae. Functional Hallux Limitus an unrecognized cause of Hallux Valgus or Hallux Rigidus. Review. * **Jacques Vallotton MD, FMH Orthopaedic Surgery, Sports Medicine. *Santiago Echeverri MD, MBA. FMH Orthopaedic Surgery. The Functional Hallucis Limitus is a frequently misdiagnosed clinical entity and its effect on the evolution of Hallux Rigidus and Hallux Valgus has been underestimated. Its diagnosis is clinical and requires a high degree of suspicion. It is caused in the large majority of cases by a tenodesis effect on the Flexor Hallucis Longus tendon and can be demonstrated by the “Flexor Hallucis Longus Stretch Test” that is diagnostic. The tenodesis effect induces a sagittal plane blockade inducing a time lag during gait requiring a series of compensatory mechanisms that are not limited to the foot. Functional Hallux Limitus deserves an early diagnosis and treatment to prevent the evolution of invalidating degenerative deformities on the MTP1: Hallux Rigidus and Hallux Valgus. Especially in the light of simple, effective diagnostic tests and low risk therapeutic options ranging from physiotherapy to endoscopic release of the Flexor Hallucis Longus tendon. Clinicians should look systematically for the presence of Functional Hallucis Limitus. Functional hallux rigidus is a clinical condition in which the mobility of the first MP joint is normal under non-weight-bearing conditions, but its dorsiflexion is blocked when the first metatarsal is made to support weight. It may be present in asymptomatic subjects or become incapacitating. Throughout its evolution, it goes from being a phenomenon that must be looked for to provide a diagnosis to a medical condition of florid arthrosis of the first MP joint. The author thinks that it is at the origin of mechanical hallux rigidus and is considered different phases of the same condition. In mechanical terms, functional hallux rigidus implies a pattern of interfacial contact through rolling, while in a normal joint contact by gliding is established. The windlass mechanism is essential to maintain the plantar vault and is based on the correct functioning of an arch formed by several bony elements that work through compression and foot braces, which work through tension, among which the best prepared for its moment arm is the plantar aponeurosis. This forms a functional unit with the Achilles-calcaneal-plantar system, thanks to the enthesis/enthetic organ of the heel, meaning excessive traction of the triceps will be transmitted directly or indirectly to the fascia. Pronation of the foot and blockage of heel dorsiflexion may increase the tension in the aponeurosis. Both the elevation of the head of first metatarsal and the increase in tension in the aponeurosis may alter the joint dynamics in the first MP joint, producing contact by rolling instead of physiologic interfacial contact through gliding. Furthermore, each one of these alterations may give rise to the other. Equinus due to the shortening of the elastic component of the calf muscles is a frequent finding among the general population, probably as a vestige of what our foot was millions of years ago. Limitation of the dorsiflexion in the ankle or the MP joint blocks the forward movement of the tibia during the stance phase on the sagittal plane, which is compensated through diverse mechanisms that entail abnormal movements on other planes and in other body segments. The compensatory mechanisms are usually tolerated well, but they may also produce pain or impairment, thus becoming medical conditions. Orthopedic and surgical measures are at our disposition to treat the blockage of movement on the sagittal plane. Among the latter, the lowering and stabilizing of the head of first metatarsal and the lengthening of all or part of the triceps are favorable mechanical procedures to resolve the blockage. Patients with functional hallux rigidus should only be operated on if the pain or disability makes it necessary. Gastrocnemius release is a beneficial procedure in most patients. The Non-Surgical Treatment of Equinus. Equinus deformity has been associated with over 96% of biomechanically-related foot and ankle pathologies. Although the literature is polarized by studies in support of operative management, there is a reasonable body of evidence to substantiate the role of nonoperative management for hallux rigidus. At present, there is conflicting evidence for the role of manipulation and injection therapy. There is weak evidence to support the role of orthotics and supportive shoes for the treatment of hallux rigidus and this treatment modality may be best suited for lower grades of hallux rigidus and selected groups of patients. There is a paucity of strong evidence to substantiate the role of physical therapy for hallux rigidus. The application of newer experimental modalities, such as extracorporeal shockwave therapy, iontophoresis, and ultrasonography therapy, although increasing in popularity, has yet to be shown to be an evidence-based practice for the treatment of hallux rigidus. For health professionals working with individuals 26 to 43 years of age who have a painful but functional hallux limitus, a comprehensive program of physical therapy (including whirlpool, ultrasound, ice, electrical stimulation, and MPJ mobilizations and exercises) coupled with sesamoid mobilizations, flexor hallucis strengthening, and gait training appears to be more effective than a comprehensive physical therapy program alone. In our study, this treatment, when performed for 12 visits distributed over 4 weeks, resulted in a significant increase in hallucis ROM, strength, and function, and a significant decrease in pain. Given the results of the present study, physical therapists should consider this approach in the management of this condition. Hallux valgus is the most frequent consequence of gastrocnemius tightness in the foot. This condition is particularly evident in juvenile hallux valgus. There are anatomic and biomechanical links between the gastrocnemius muscles and the hallux: Achilles tendon, calcaneum, plantar aponeurosis, plantar plate, and sesamoids. Thus gastrocnemius tightness exerts a deforming force on the hallux, which is well established for hallux limitus (windlass mechanism) but is not widely understood for hallux valgus. It is hoped that the present study addresses this. Isolated gastrocnemius tightness, through tension in the plantar aponeurosis and the oblique direction of its medial part, results in valgus and plantar deforming forces at the 1st MTPJ. This is defined as the oblique windlass mechanism, and causes, or at least is an exacerbating factor in the pathogenesis of, hallux valgus. Clinical consequences for clinicians are, first, that it is essential to evaluate the gastrocnemius tightness in any case of juvenile hallux valgus, then to consider correcting this tightness each time it is required. This evaluation not only serves to secure the results of the bunionectomy but also to avoid, diminish, or at least to ensure the success of surgery of the lesser rays in cases of metatarsalgia. In addition, it corrects other signs of gastrocnemius tightness: lumbago, cramps or calf tension, difficulty walking in bare feet or flat shoes, and eventually hindfoot problems (ie, Achilles tendinopathy, plantar fasciitis). In this article, a functional relationship has been proposed between both structures that goes beyond a simple anatomic relationship. From the model presented herein, tightness of the gastrocnemius muscle produces an increase in Achilles tendon tension during weight-bearing activities and increasing dorsiflexion stiffness of the ankle joint. Increased tension in the Achilles tendon during weight-bearing produces plantarflexion moments at the hind foot and an increase in forefoot plantar pressure with an anterior displacement of center of pressure. The combination of hind foot plantarflexion moments and forefoot dorsiflexion moments tend to collapse the arch, and the plantar fascia increases its passive mechanical longitudinal tension counteracting the arch flattening effect of gastrocnemius tightness. With these ideas in mind, the relationship between the gastrocnemius muscle and the plantar fascia could be considered as a relationship derived from the mechanical behavior of the foot in weight-bearing conditions instead of direct transmission of tension through the calcaneal trabecular system. Although the model presented has some limitations, such as the effect of intrinsic foot and deep posterior calf muscle contraction, it can serve for a better understanding of the effect of gastrocnemius tightness in specific foot disorders. These ideas can also help to explain clinical findings of patients with gastrocnemius tightness and open new possibilities of treatment for specific foot problems, such as plantar fasciitis, metatarsalgia, midfoot dorsal pain, and forefoot ulcerations of neuropathic patients. Contracture of the gastrocnemius produces subtle alterations to gait and posture. There is a resultant increase in the strain in the Achilles tendon and also the plantar fascia. Patients with recalcitrant heel pain commonly have isolated gastrocnemius contracture that can be shown using the Silfverskiold test. Eccentric calf stretching is one of the few interventions that has been proved to be useful in the management of plantar fasciopathy and Achilles tendinopathy. As part of the investigation and management of recalcitrant heel pain any contracture of the gastrocnemius should be identified using the Silfverskio¨ ld’s method. If formal eccentric stretching of the gastrocnemius does not result in improvement in the symptoms and the contracture persists, then surgical gastrocnemius lengthening should be considered. PMGR is the preferred technique for most patients because the recovery is rapid, the procedure has a very low morbidity, and it can be performed under local anesthesia with sedation (avoiding the need for full GA in the prone position). If there is extreme contracture then the surgeon must decide whether to release the lateral head of the gastrocnemius proximally at the same time or perform a Strayer procedure instead. Local treatments for either the Achilles tendon or the plantar fascia should be deferred until any calf contracture has been corrected, which is often by stretching under physiotherapy supervision, but orthopedic surgeons should be aware of the occasional need for gastrocnemius lengthening. The PMGR technique, developed by L.S. Barouk and P. Barouk in France, is an excellent method with extremely good functional results, a low risk of complications, no need for postoperative immobilization, and once mastered is performed under local anesthetic. In time this will become the technique of choice for gastrocnemius lengthening. In our practice the Strayer is reserved for extreme contracture only and in 95% of cases we prefer the Barouk method. In reviewing the literature on functional hallux limitus and the reported effects that it may have on gait, it becomes clear that the plethora of available information provides the reader with a vast array of both scientific evidence and theoretical debate. Many of the clinical tests carried out in practice are based on historical approaches and anecdotal findings. New research and theories based on these methods may run the risk of adding to the already confusing minefield of opinion and theoretical reasoning rather than providing clinicians with sound scientific research on which to base their practice. Nevertheless, the way in which some new theories are being challenged is encouraging and is demonstrative of how evidencebased practice is being embraced. Perhaps the way forward is to continue the debate and encourage clinicians to engage in quantitative research that uses robust, valid, repeatable, and reliable clinical measures that will provide empirical primary research to underpin the theory and provide evidencebased practice for the future. This is particularly important in foot function because it is the only part of the body in contact with the ground during bipedal ambulation. Further research must include the effect that abnormal foot function may have on more proximal structures, and therefore collaborative multidisciplinary research would be useful. The use of motion analysis gives a way forward for researchers to gather accurate kinematic data, and perhaps using this method for data collection may go some way to provide a standardized framework for kinematic analysis of the small joints of the foot that are often difficult to measure. Armstrong DG, Stacpoole-Shea S, Nguyen H, Harkless LB. Lengthening of the Achilles tendon in diabetic patients who are at high risk for ulceration of the foot. J Bone Joint Surg Am (1999) 81:535–8. Aronow MS, Diaz-Doran V, Sullivan RJ, Adams DJ. The effect of triceps surae contracture force on plantar foot pressure distribution. Foot Ankle Int (2006) 27:43–52. Crawford F, Thomson C. Interventions for treating plantar heel pain. Cochrane Database Syst Rev (2003) 3:CD000416. DiGiovanni CW, Kuo R, Tejwani N, Price R, Hansen ST Jr, Cziernecki J, et al. Isolated gastrocnemius tightness. J Bone Joint Surg (2002) 84:962–70. Harris RI, Beath T. Hypermobile flat-foot with short tendo achillis. J Bone Joint Surg (1948) 30:116–50. Hoke M. An operation for the correction of extremely relaxed flat feet. J Bone Joint Surg (1931) 13:773–83. Lin SS, Lee TH, Wapner KL. Plantar forefoot ulceration with equinus deformity of the ankle in diabetic patients: the effect of tendo-Achilles lengthening and total contact casting. Orthopedics (1996) 19:465–75. Norregaard J, Larsen CC, Bieler T, Langberg H. Eccentric exercise in treatment of Achilles tendinopathy. Scand J Med Sci Sports (2007) 17:133–8. Pratt K, Bohannon R. Effects of a 3-minute standing stretch on ankle-dorsiflexion range of motion. J Sport Rehabil (2003) 12:162–73. Rao SR, Saltzman CL, Wilken J, Yak J. Increased passive ankle stiffness and reduced dorsiflexion range of motion in individuals with diabetes mellitus. Foot Ankle Int (2006) 27:617–22. Riddle DL, Pulisic M, Pidcoe P, Johnson RE. Risk factors for plantar fasciitis: a matched case-control study. J Bone Joint Surg (2003) 85:872–7. Szames SE, Forman WM, Oster J, Eleff JC, Woodward P. Sever’s disease and its relationship to equinus: a statistical analysis. Clin Podiatr Med Surg (1990) 7:377–84. Silfverskiöld N. Reduction of the uncrossed two-joints muscles of the leg to one-joint muscles in spastic conditions. Acta Chir Scand (1924) 56:315–30. Perry J. Gait Analysis: Normal and Abnormal Function. Thorofare, NJ: SLACK International (1992). Riddle DL, Schappert SM. Volume of ambulatory care visits and patterns of care for patients diagnosed with plantar fasciitis: a national study of medical doctors. Foot Ankle Int (2004) 25:303–10. Trent V. An Investigation into the Effect of Stretching Frequency on Range of Motion at the Ankle Joint. Masters Thesis. Auckland: Auckland University of Technology (2002).